The Ría de Arousa is the most extensive estuary of the Rías Baixas. 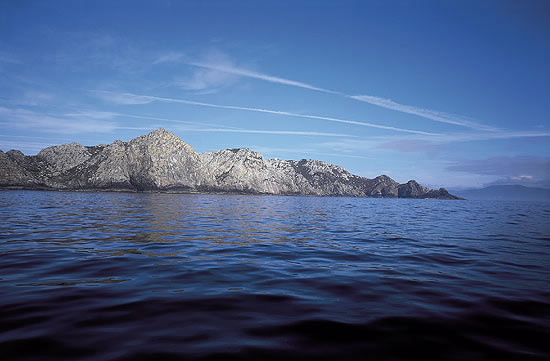 Its mouth opens between the Covasa point in the north and San Vicente point in the south. More rectangular than its neighbours due to its sunken block origin, it offers a contrast of shapes. To the north it clearly borders on Serra do Barbanza and to the south it seems surrounded by the gentle flatlands of O Salnés. It contains numerous islands and isles of extraordinary beauty, and particularly the Illa de Sálvora at the entrance, the Illa de Arousa in its centre and the isle of Cortegada in its depths, in the contact with the mouth of the river Ulla, in the lands of Carril. This last island was donated in the early 20th century as a residence for king Alfonso XIII. 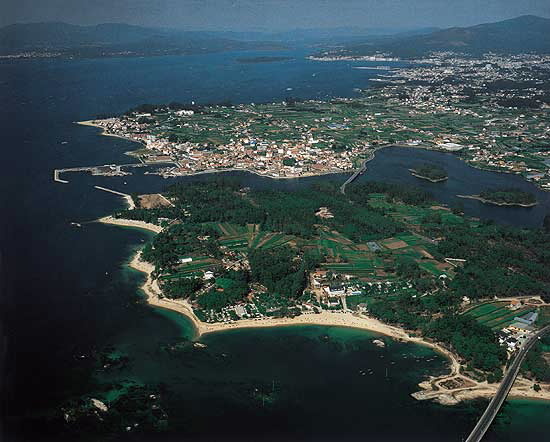 The winding profile of Arousa gives rise to a large number of coves and peninsulas that favour the settlement of numerous marine towns such as Aguiño, Ribeira, A Pobra do Caramiñal, Boiro and Rianxo, on the northern side and Carril, Vilagarcía, Vilaxoán, Vilanova, Cambados and O Grove to the south. 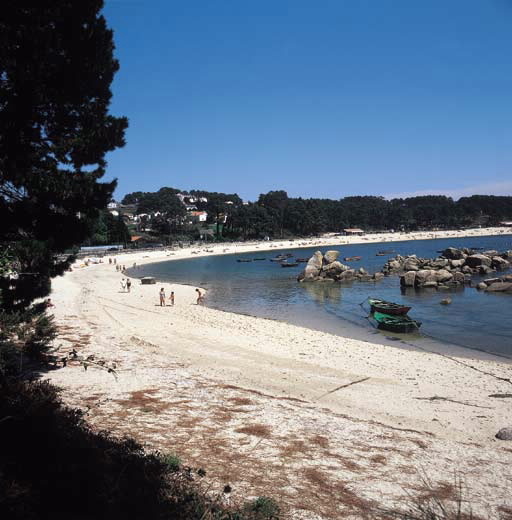 At the connection with the river Ulla, Catoira and in the centre of the estuary, the town of the Illa de Arousa. This is an area that combines natural beauty with economic development, though not always in harmony with art and tradition. 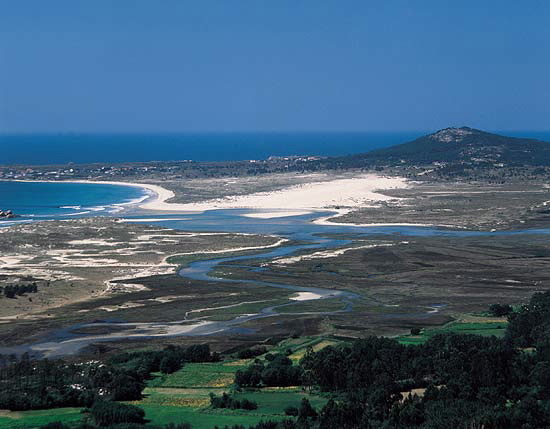 Of the first we have the example of the islands, its numerous beaches, the mountain ranges in its surroundings, like the O Barbanza, or the lower sections of the rivers that give on to the estuary, such as the As Pedras, the Ulla and the Umia, not to mention the marvellous Corrubedo lagoon-dune complex, now a Nature Park on the peninsula that separates the Arousa and Muros-Noia estuaries. The width of the Ría de Arousa meant that it was once a place open to invasions, as shown by the Western Towers in Catoira, raised to defend the river Ulla from the attacks of the Normans and Arabs, but also a place open to trade. From the economic viewpoint, it must be stressed that the wealth of Arousa does not come down simply to the shellfish sector, fishing, agriculture or the preserve industry. Of great importance too is the wine sector, where we have the Albariño, undoubtedly one of the best whites in the world. First Carril and later Vilagarcía de Arousa were places that knew extraordinary economic growth, as they acted as ports for Santiago, and their lands, Vilanova de Arousa and Cambados, on the southern side, along with Rianxo, Boiro, A Pobra do Caramiñal and Ribeira to the north, developed more recently. 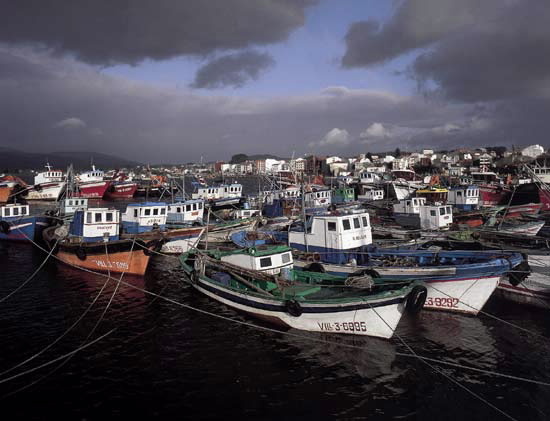 Vilagarcía de Arousa is an important commercial and fishing port with extraordinary economic activity that relieved the immediate Carril from the promoting role it had held until the 19th century at the centre of the region of O Salnés, famous for its Rías Baixas Appellation Controlée wines. O Salnés is also known for Cambados: A stately town where we can see heraldic houses and the extraordinary Fefiñáns square flanked by the Figueroa manor and the church of San Benito from the 16th century. This is a place that must be visited on foot to enjoy it, and it is also the capital of Albariño. To the north of the estuary, A Pobra do Caramiñal is a stately town with heraldic houses and castles like the Torres da Xunqueira. The shadow of Valle-Inclán, its bard, floats over the town. On the same shore we find Santa Uxía de Ribeira, a town of extraordinary economic development based on the fishing sector. Inside, it holds some remains of the former marine town and Corrubedo is very nearby. In the Corrubedo Nature Park it is possible to see the combination of different elements. Lining the sea, the long beach with certain granite peaks. 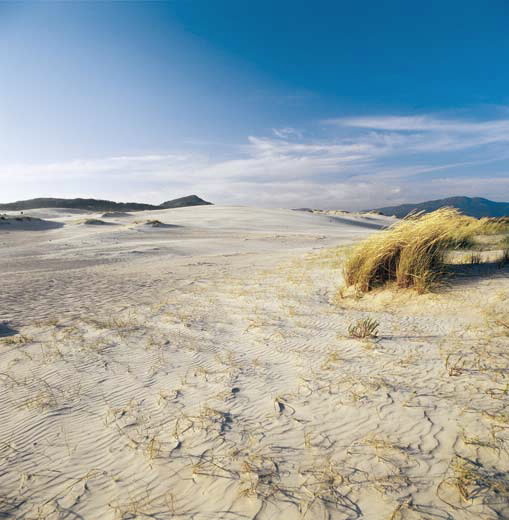 If we walk inland, we first of all come to a dune system fixed by the vegetation with a predominance of pine forms; then a wide corridor between the dunes and then the moving dune which, one kilometre long and some twenty metres high, moves rhythmically to the winds from the south-west and north-east. This set of winds means that its movement is limited to a very specific area without large movements. Having passed the moving dune, on one side there is a large wind blanket and to the north-east the marshlands of Lagoa de Carregal which, together with the Vixán a little further south, are areas of great interest for their fauna and particularly for their bird life.